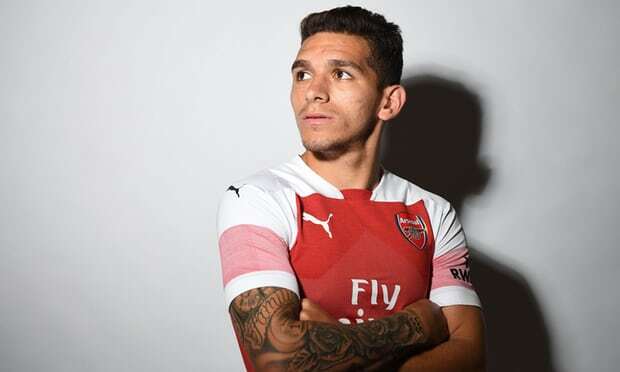 Arsenal have made their fourth signing this summer under new manager Unai Emery by completing a €30m (£26.5m) deal for Sampdoria’s Uruguayan defensive midfielder Lucas Torreira. The 22-year-old, who passed a medical at the club’s London Colney training complex on Tuesday, will not, though, be joining up with the Arsenal squad until early August having featured in all five matches of Uruguay’s run to the World Cup quarter-finals. Jack Wilshere joins West Ham on three-year deal after Arsenal exit Read more “In Lucas Torreira, we have signed a young player who is a very bright talent in the game,” Emery told Arsenal’s official website. Torreira will wear the No 11 shirt that Mesut Özil occupied until this summer, with the German instead set to be wearing the No 10 shirt vacated by Jack Wilshere, now at West Ham. Emery has already welcomed German goalkeeper Bernd Leno from Bayer Leverkusen, Greek defender Sokratis Papastathopoulos from Borussia Dortmund and Swiss defender Stephan Lichtsteiner to the Emirates.